For some, the thought of train travel conjures up memories of a simpler time and a bygone era of gentlemen in smoking jackets and women in hats. For others, trains remain a part of everyday life and the hustle and bustle of a subway or commuter line. 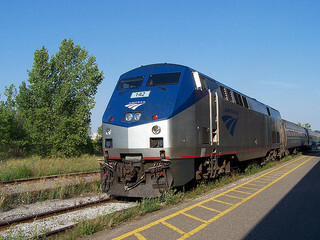 While the latter group might be familiar with disabled trains and resulting delays, both groups likely think of train travel as a safer option than highway or air transportation. Still, as recent national headlines remind our San Francisco train law firm, train accidents remain a reality. These accidents are investigated at the national level, a big process, but they are also impact very real individuals, a specific level and the level at which our office works regardless of whether we have one client or a class of many similarly injured people. Along with news outlets across the country, The San Francisco Chronicle is reporting on the collision of two commuter trains on Friday that left about seventy people in the hospital. The crash involved trains on the Metro-North Railroad in the northern New York City suburbs. At about 6:10 P.M., a train travelling east from Grand Central Station in New York City to New Haven derailed near Bridgeport, Connecticut. A second train, travelling west, collided with the first, derailing some of its own cars. At least two hospitals, St. Vincent Medical Center and Bridgeport Hospital, treated people injured in the crash. Most of the injuries were not serious, but at least three patients arrived in critical condition. Both the train cars and the track suffered extensive damage and delays were expected to last through the weekend. As the investigation unfolds, the NTSB may designate organizations as parties in the investigation to provide technical or other specialized expertise. Over time, the Board will prepare a report on the accident which, along with the parties’ own findings and recommendations, will become part of the final public docket. Train accidents and other mass transit incidents give rise to complex, large-scale investigations. As a law firm for train accident victims in San Francisco and throughout Northern California, we help individual victims move forward from these tragedies. Even in class actions, we never lose sight of the individuals who trust us to represent them. We look at both the cause of the accident, a large-scale question, and the effect, the way it alters the lives of the victims, a more individualized inquiry. If you or a loved one has been impacted by a Northern California train accident or another mass transit tragedy, please call to discuss how we can help you.